This isn’t your average travel app. Imagine checking one place for everything, and knowing about things before they happen. See why life without TripIt is a distant memory for millions of travelers. Unlike other apps, it doesn’t matter where you book. TripIt can manage it all. As soon as you book a flight, hotel, car or other reservation, simply forward it to plans@tripit.com and we’ll instantly create a master itinerary and map view of all your plans. No more frantically searching through your inbox for important details like when your flight gets in, or your confirmation number. Get to them instantly in TripIt, even when you’re offline. With Siri shortcuts for iOS 12, you can even access those details hands-free! Plus, we make it easy to send travel plans to your calendar, or to anyone you choose. 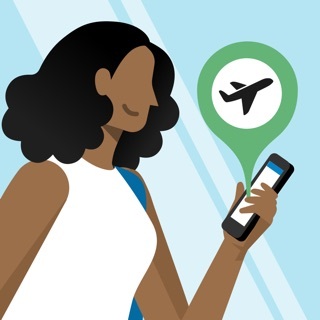 Manage all your plans for free with TripIt, or for about the price of checking your bags, upgrade to TripIt Pro to get stress-free travel all year long. • Add new TripIt complications to your Watch face to see your upcoming travel plans and to quickly launch into the app on your Watch. Visit our Help Center for details on supported watch faces. • We fixed a bug that caused TripIt Pro’s international travel tools to occasionally crash if your account did not include a home country. Make sure to add a home location in the Profile tab--which also helps ensure your travel stats are accurate. • We also fixed a bug that would turn off TripIt Pro’s Go Now, and some bugs with viewing and moving Unfiled Items. Top 3 of all apps. All time. Ever. I try hundreds of apps each year but after many years using this app it is still the most useful thing on my phone after the calendar and mail app. Seriously, I have emailed booking confirmations as PDF’s, word docs, email etc from some really funky airlines and it’s rarely missed a beat. My only suggestion to the developers to improve on perfection might be to tie in with one of the flight map apps so I can see on the plane which country I am flying over. Those guys have nothing like the capability you do, so a tie in could be cool. Thanks again for all the travel hassle you guys saved! This is a great app and it has worked for me 98% from the time I downloaded it for my iPhone. I travel 25 weeks a year and this has made me more organized and efficient. I email my air, hotel, train or car rental confirms to Tripit and with in minutes it's all on my iPhone. To have a single place to have ALL of my travel info is a dream. I use to be in the back of a cab and the driver would ask "What is the address of the hotel?" I would have to open my briefcase backpack find the file, find the hotel info and tell the guy, then get to the hotel and go through the process again at the hotel when they can't find my confirm number. Now I look at the specific trip on TripIt and it's all there. If you are a business traveler this is an awesome app. I was so impressed with the free version I upgrading to the paid version. Thanks TripIt, keep the updates coming, it just keeps getting better and better. 1. To allow flight searches from within the app. No need to have the option to buy tickets from within the app but it would be very helpful to be able to search for flights independently from any saved trip (this option was available in WorldMate). 2. It would be very helpful to have the possibility to add trips' information on already existing calendars without having to subscribe to a new one (currently, one has to subscribe to a new TripIt calendar). This is particularly true when your calendar is accessible to your assistant and/or colleagues so they can check your availability. © 2019 Concur Technologies, Inc.